Daisy came to us, along with four other housemates, after their owner and longtime supporter became ill. She is getting used to her new environment but once you get to know her, she is quite an absolute doll. Share a little love with one or more of the shelter cats! 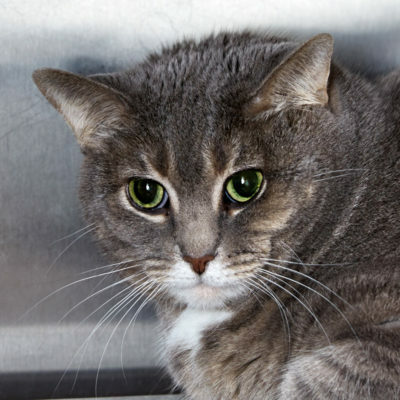 Sponsor any of our cats for as little as $20 for one month. You’ll receive a biography and picture of the cat you sponsored, a certificate of sponsorship, and a small gift to show our appreciation. 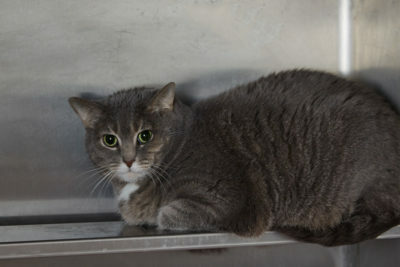 Your support will help pay for this cat’s food and health care as we work to find them a permanent, loving home. Our adoption fees are $150 for kittens and $120 for adult cats. Prior to adoption, all of our cats are spayed/neutered, up-to-date on all shots, microchipped, and tested for FIV and Feline Leukemia. Have a question about this cat? If you have a question about this cat or are interested in adopting, please feel free to get in touch.